So you want a new look for your player, but are not quite sure what to do? Follow these steps, and you should have no problems. 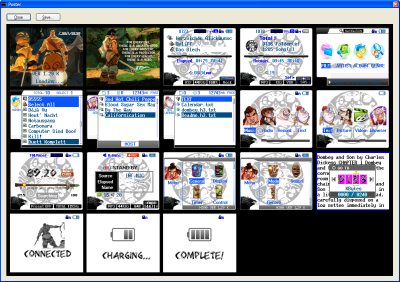 The exampe is based on a H320 theme, details will vary for your configuration. Thanks to mixin from misticriver who provided the first detailed guide, which I'm shamelessly copying here. 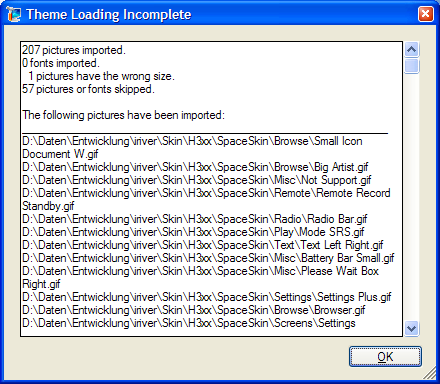 This is what you do if the theme consists of a zip file with lots of images in it. Click OK. The progress screen comes up again and tells you what is currently loaded. It's normal if it says Incomplete: that just means that the theme does not contain replacements for each and every item in the firmware. If it reports wrong sizes or colours, nothing bad can happen. You only may end up with a few pictures that look wrong, for example distorted, or having strange colours. If the preview later on looks OK, you don't need to care about the report. 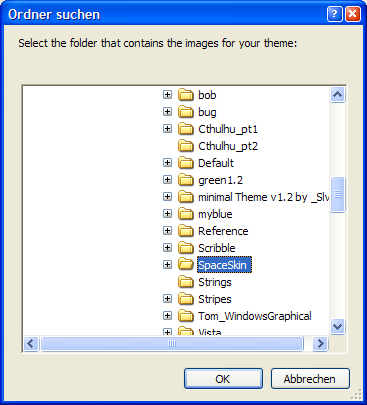 This is what you do if the theme comes in a .h3skin or .h3theme file. A window pops up that describes the theme. If this is what you expect, click OK, otherwise Select to choose another file. From now on, it's the same as for importing images. Preview is optional, but allows you to check what the theme looks like. Different firmware types have different levels of detail, but they cover most or all of the changes for iriver products. If you liked what you saw, select Firmware\Save As. Save will save it to the same file as the one you opened. Not recommended, since it overwrites the unmodified version. But it all depends on how you like to do things. It's usually a good idea to use the same name as the original firmware, only in a different folder. 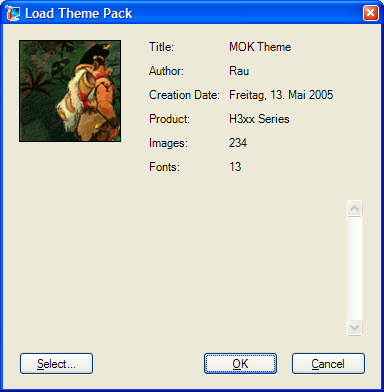 For the H3xx for example, the file must be called H300.hex. The following is only for the H3xx series. Procedures for other players may vary, read your manual and the forum FAQs for your player. If it says Charging, briefly press the play button and wait until it says Connected. 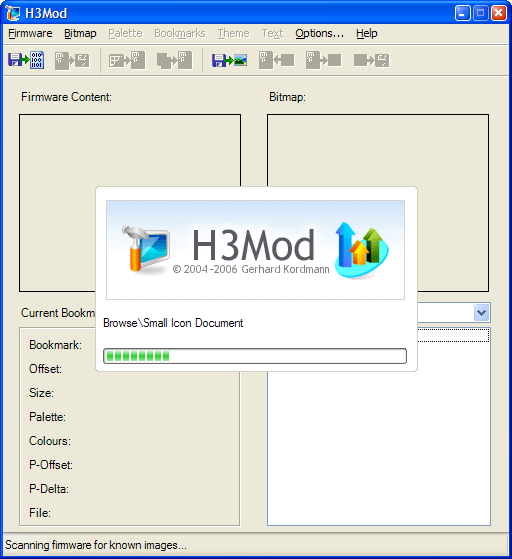 In the Windows file browser, your player shows up as a drive called H300. 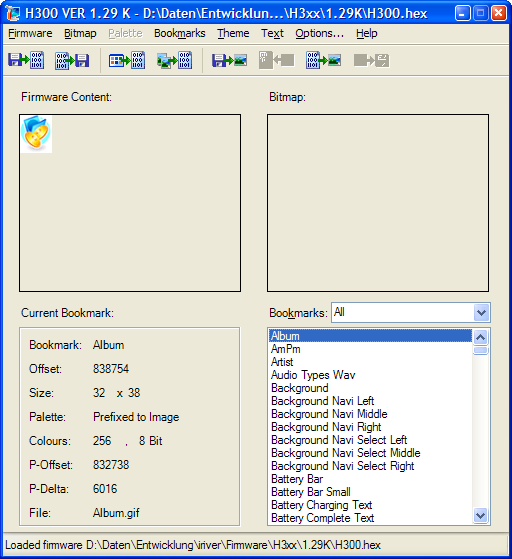 Copy the firmware to the root folder of that drive. The root folder is the top level, what you see when you click on the drive. It's not a folder called root. Go to Settings > General > Firmware Upgrade on the player. 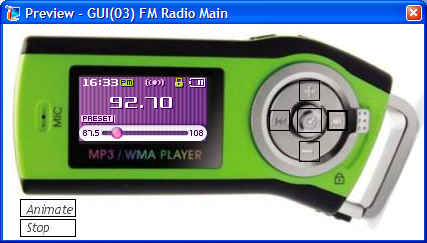 Upon the player rebooting, you should then have your nice new skin on the player.